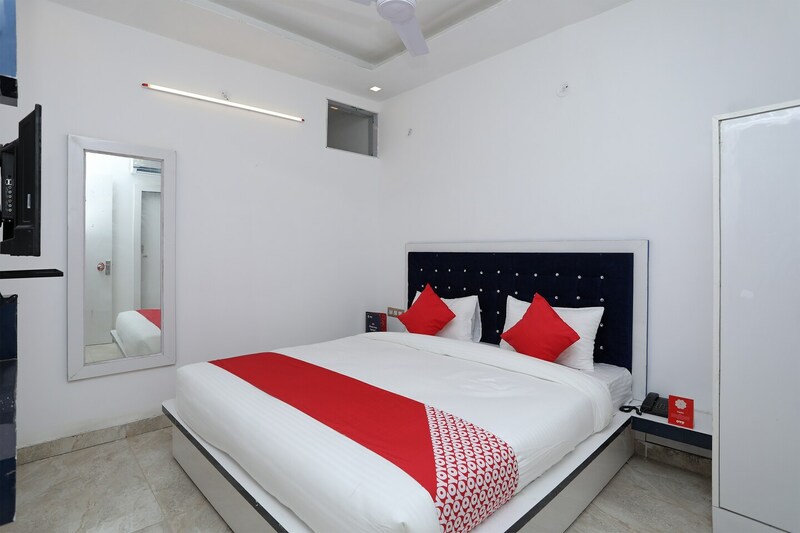 Hotel UK-07 is situated on a busy road of Dehradun and is popular amongst business and leisure travellers alike. The rooms are quite spacious and promise a cozy stay. The well furnished rooms have a simple and neat appearance, giving it a unique charm. The bright cushions and the cushion headboards make it more comfortable for the guests. The basic amenities include a big parking area, proper power backup, free Wi-Fi, a dining area and many CCTV cameras. The place is positioned quite close to the airport, which makes it convenient for the visitors. The skilled staff welcome people and cater to all their requests and requirements. The overall ambience of the hotel is pleasant. One can visit the nearby eminent landmarks easily.